Work Safety Hub is a consulting, auditing and training services provider. The company was founded in 2006 and has its principal office in Melbourne, Australia. Dedicated to delivering innovation, with expertise spanning a decade in diverse industries, our company is uniquely positioned to help solve Australia’s biggest health and safety challenges. 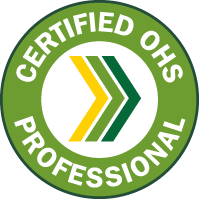 Work Safety Hub consultants have been certified under the Safety Institute of Australia’s Professional Certification Program. This initiative certifies us as professionals who uphold the highest industry standards, and that our consultants possess industry leading education, experience, knowledge and skills. Our practices are consistent with the OHS Body of Knowledge, which enables us to use terms like ‘evidence based practice, based on science, management principles and systems thinking’. By choosing Work Safety Hub, you can rest assured you are working with the highest levels of professionalism and expertise in the industry. Work Safety Hub has brought world-class science and occupational health and safety business management expertise to the Australian marketplace. Our market-driven innovation introduces new services every year, serving markets as diverse as aged care, agriculture, manufacturing, electronics, communications, construction, franchise, FMCG, health, logistics, primary industry, transportation, utilities, retail, government, and professional services. Work Safety Hub is proud to build on this heritage by partnering with others to tackle the unprecedented challenges in occupational health and safety. With the Australian population expected to approach 38 million by 2050, Work Safety Hub is working with customers, governments, NGOs, and thought leaders to discover solutions to today’s toughest challenges. Our team members are all leaders in their fields, with a wealth of experience in work health and safety. Together, we believe we can provide operational risk management solutions for people everywhere, decrease dependence on workers compensation systems, and protect people and the environment for generations to come. We look forward to what another decade of science and innovation can do. Find contact information you need to get in touch with us here at Work Safety Hub.